In the 1970s, the Palestinians began to use international terrorism, and France chose to accept this terrorism so long as France was not affected. At the same time, France welcomed mass-immigration from the Arab-Muslim world, evidently as part of a Muslim wish to expand Islam. 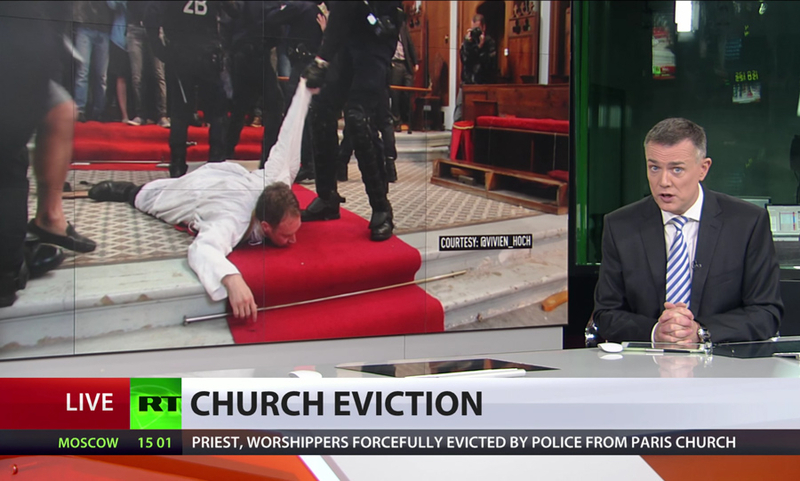 France’s Muslim population has since grown in numbers while failing to assimilate. 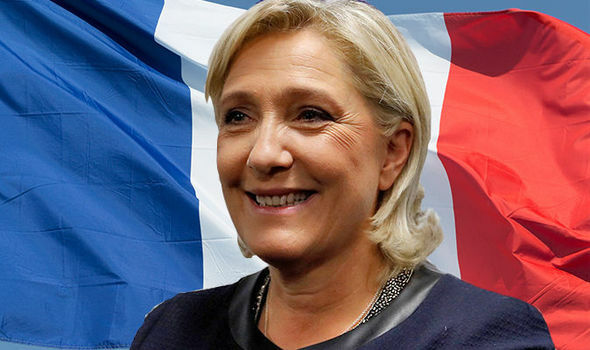 NATIONAL Front leader Marine Le Pen has emerged as a serious contender in the race to become the next French president after taking a commanding lead in the latest election polls. Infiltrate, redirect, divide… and conquer. The objective is not only to break the EU, but get NATO kicked out. And here, we see again new information being brought up that the refugee crisis was Russian orchestrated. On December 13, France will hold the second round of regional elections, which are considered a dress rehearsal before the parliamentary and presidential elections in 2017. UNIAN gathered expert opinions on what the change of the French political elites would mean for Ukraine. The prediction of catalysts has been made over and over. The events have unfolded and now, in reaction, the predicted right-wing movement has begun to take shape. What’s next after the right-wing movement? A unified right-wing Europe, in one form or another, looking to protect its culture and borders by means of war against infiltrating nation-states when pushed too far (i.e. a major terrorist attack on a 9/11 level). Enter the King of the North versus the King of the South. France went to the polls on Sunday in regional elections and the far-right National Front party, formerly known for its anti-Semitic and anti-immigrant stances but now known for its support of Israel and opposition to radical Islam, came out as a winner across the country. Though some have pinned the party’s success on its occurrence so soon after the November 13 terror attacks in Paris, one Israeli expert told The Jerusalem Post on Monday that France has been moving to the right for years and is part of an overall trend in Europe of far-right parties becoming the mainstream. Europe is imposing capital controls… next up will be border controls. How do we know? Because they already suggested this before. There has been some confusion why Germany and the Eurozone are so strict in negotiating with France and unwilling to concede even to the smallest of what they deem as outlandish Greek demands. The reason is not so much whether Spain or even Italy, both countries with soaring unemployment, a lost generation and a sweeping movement against “austerity”, follow with comparable demands should Europe concede to Tsipras, but France, where the frontrunner for the next president, the National Front’s Marine Le Pen, has just warned that not only is a Grexit inevitable, but that France would follow shortly. Germany is conquering Europe without firing a shot. Nov. 9, 1989, was a momentous day. It was the day the Berlin Wall came crashing down. The Soviet empire began to retreat from Europe, releasing the Continent from the clutch of communism. Nineteen years later, another—possibly even greater—event shook the world, one that had a similar emboldening effect on Europe. The sudden collapse of America’s banking system in September 2008 opened the way for the emergence of a European economic superpower—and for the nation hijacking it. Last fall, America stood in stunned silence as it witnessed the largest corporate bankruptcy in history (Lehman Brothers), the largest insurance company failure in history (American International Group) and the largest corporate seizure in the history of finance (Fannie Mae and Freddie Mac). A tidal wave of gold repatriations may have begun. As speculated in my last post, I raised a concern that should be shared with all western Central bankers…a widespread flood of countries demanding their gold back to their home soils. This notion sounds logical to any sane individual, but to a central banker who is gold negative, this is their worst nightmare. To understand why, you need to step back and see the big picture, which shows the stark reality of how rare gold truly is and how little of it remains in western vaults, despite what the mainstream media would have you believe. First it was Germany, then it was the Dutch. Soon it could be Switzerland depending on the results of their gold repatriation referendum, which central bankers are nervously awaiting the results. Now, there is France. Nicolas Sarkozy and François Hollande use the French armies to pander to private or foreign interests. They sent men to their death to plunder Ivory Coast cocoa, Libya’s gold reserves, Syria’s gas, and Mali’s uranium. The trust has been broken between the military chiefs and the soldiers who are in the army to defend the homeland.